There was an issue with one of the digital display banners that we shared with you from the national Summer Slide campaign last week. If you already downloaded them, please replace them with the latest versions found on the Matrix (U.S. and CAN). We will also have the 15 second Summer Slide teaser video posted to Matrix this week. 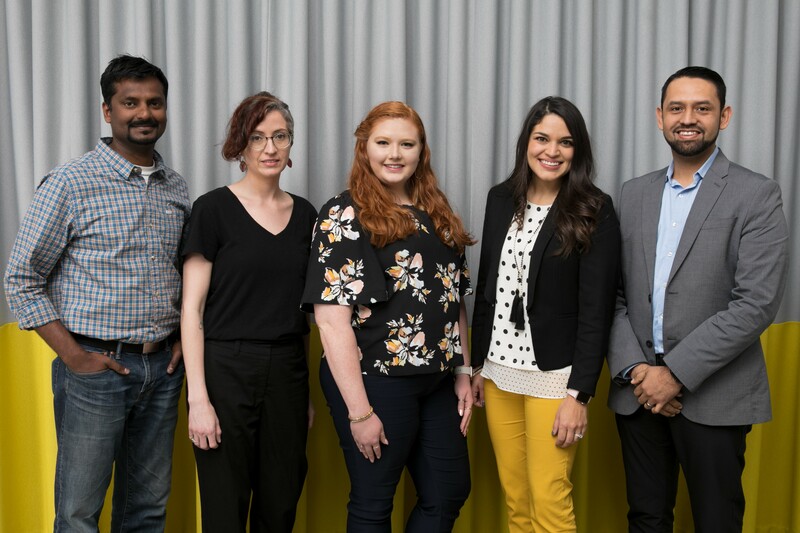 The Marketing Department is pleased to announce that the May 2019 Marketing Update is now available on The Marketing Matrix! Increase enrollment opportunities with our new “Summer Slide” materials for U.S. and Canada. Be aware of national media marketing activities including a new GreatSchools.org campaign and ads on Podcasts, Facebook, TV and radio. Learn the do’s and don’ts of running an engaging and authorized Facebook contest. Generate excitement for summer with your students by downloading and distributing the Mathnasium summer Bingo game board (U.S./CAN). 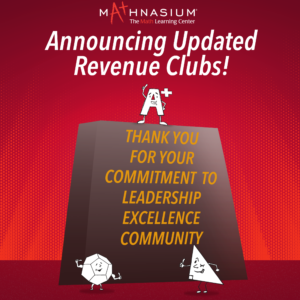 2018 represented another incredible year for the Mathnasium brand and our wonderful community of franchisees. As we continue to demonstrate extraordinary results for the families we serve, we have seen consistent growth in the overall health of our business. As our brand evolves, so have our revenue expectations and the financial opportunity that this unique system provides. The most up-to-date list can be found in the Revenue Clubs widget on the left-hand side of Mathnasium Matters! 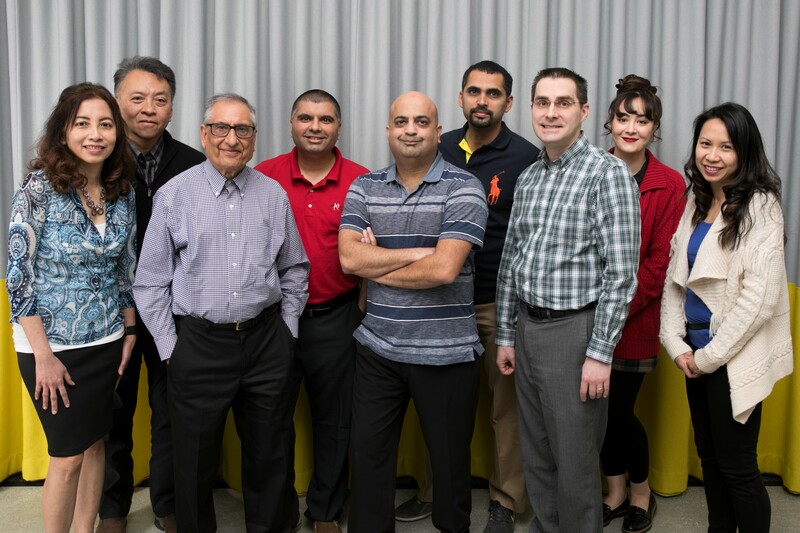 As announced here, we are asking all U.S. and Canadian franchisees with center opening dates on or before March 1, 2019 to help us by participating in an annual online satisfaction survey being conducted by Franchise Business Review. FBR reached out to you at the beginning of April with the survey link; please take 10 to 15 minutes to submit your honest feedback by Wednesday, May 1. These survey responses will help the Home Office team immensely in our continued efforts to provide all our franchisees with the best possible systems and support for all of you—your open and honest feedback is much needed and valued! Please direct all questions to support@mathnasium.com. Thank you for your continued support! Why be good when you could be great?! 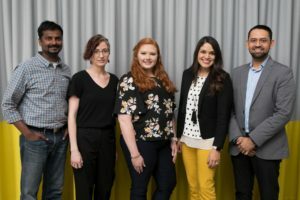 Mathnasium has partnered with Northeastern University to offer a customized and exclusive online course for Mathnasium staff and Instructors designed and delivered by Northeastern University on child/adolescent development and behavior as it applies to 1:1 teaching and learning. Several franchisees and Mathnasium staff will pilot the course. In the future, the 3-credit course will be offered over an entire year, so as not to overburden students. There’s room for additional students, but you need to sign up by Tuesday, April 30. The course credit is transferable to other universities. 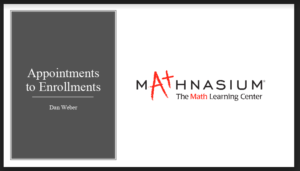 Northeastern University has set up a specific link (https://commerce.cashnet.com/SFMATHNASIUM) for Mathnasium members to register and pay for each module of the course. The total fee for each module is $530.00. For more information, CLICK HERE to download a flyer about the course. Please feel free to email any additional questions to support@mathnasium.com. We are about to run new summer slide-focused digital assets in our national media and wanted to open up their use for franchisees as well. We’ll be running these assets on Facebook, across our podcasts, and site-wide on GreatSchools.org. Our ads will link to a national landing page where users can search for the center closest to them and submit a lead form. If you’d like to use these digital assets in your own local digital campaigns, you can link them to our national landing page or direct the traffic to your own microsite. The assets are available on the Matrix (US and Canada). If you choose not to use the national landing page, we recommend that you send traffic to a blog post that you create with the text and image we’ve provided on the Matrix. You’ll find instructions for how to do this within the “Create a Landing Page” document located there. We’ll also be releasing Facebook posts related to these assets via Hootsuite, but you will find alternative Facebook posts and copy on the Matrix that you may schedule on your own as well. The purpose of this summary is to provide transparency into the general topics of discussion. Conclusions/decisions are not generally made during the meeting and therefore, discussions referenced here will not have conclusions nor imply such. The meeting was held in Dallas, Texas on Tuesday, April 2. Members in Attendance: Beatrice Chan, Barry Fausnaugh, Dan Gehlbach, Marc Goldberg, Mo Khalil, Karen Lossing, Dr. Sylvia McLellan, Barry Weiss. Staff in Attendance: Shant Assarian, Jennifer Nicholls, Brett Lippel, Julian Hollingshead, Jason Condello, Janet Riley, Elizabeth Lyons. This meeting was held to give an update from both the Marketing and IT Departments on current projects at hand, as well as Mathnasium@Home. Brand refresh, including updates to collateral materials and wall art. Websites – Significant work underway to improve tracking, SEO and user experience. Updates on several marketing tests underway for potential rollout. Digital enrollment – Positive feedback from test group and continued enhancements to come. Billing integration – updates given on current progress, including search for best vendor. Mathnasium@Home – will be moving into small markets this month. You can read more in the previous Matters post here. Many owners have found it useful to listen to calls answered by their staff / Center Directors via WhatConverts, as it can help improve lead conversion and show which digital channels are generating phone leads. Up to this point, WhatConverts has been tracking phone calls by leads that click on paid ads to access a center’s microsite. To provide even more tracking and monitoring volume, WhatConverts will now also track visitors who arrive at any microsite when typing mathnasium.com/centername. Organic search traffic to microsites (in other words, clicking on a non-paid search engine result) will continue to be excluded from tracking and monitoring for now. No, this change does not adversely affect SEO. WhatConverts allows national advertising response to be tracked for both web leads and calls, enabling better optimization and more effectiveness of campaigns. Call recordings are a powerful tool for any center to improve lead conversion through monitoring and coaching. See here for more information. Why is the number changing when I’ve just clicked an organic search listing? If you’ve previously visited a microsite through a tracked channel like a Facebook ad, the system will attribute subsequent visits to that ad. This is to give credit for a site engagement to the source that originally brought the user there. This is called “first click attribution”. 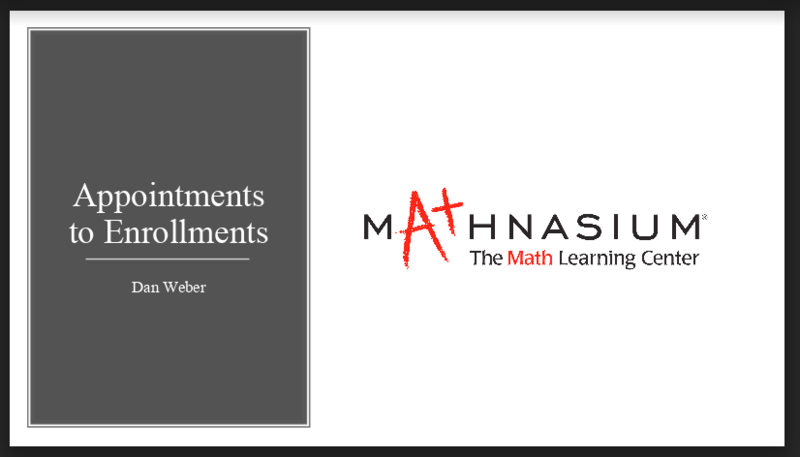 If you have any questions, please email support@mathnasium.com. On March 14th the Education Department released the Right Instruction Binder to support the training of new hires. Please see the previous Matters post here. This dynamic training document is also supported by an editable Facilitator’s Guide and a full Answer Key to guide critical instructor training conversations. The Right Instruction Binder is also now available in Business Documents for Canada and UAE. For a more comprehensive description of the Right Instruction Binder and next steps, please click here. As a reminder, we also opened the submission process for the 2019 Instructor of the Year Award. We have already received some great submissions and are looking forward to more! For a complete outline of the submission process, please see the previous Matters post here. The deadline for submissions is Friday May 3rd, 2019. Stay tuned to Matters in the coming weeks for future Education Department updates related to HMM Advanced 2, International releases of Right Instruction Binder for New Hire, and new developments to the Right Instruction Binder for Initial Instructor Certification! The Training Department is pleased to release an updated version of the 2019 Training Calendar with more training dates added! You can find the calendar in the “Mathnasium Calendar” widget on the right side of the Matters’ page. We have updated all training events until the end of the year. Feel free to email the Training Team at training@mathnasium.com if you have any questions. We look forward to seeing you all in-person or online! A Recap of Larry’s Instructor Training in Dallas, TX! Last month in March, Larry and the Training Team flew to Dallas, TX for a knowledge-filled weekend. Larry presented to a total of over 100 Instructors, Center Directors and center owners, along with 25 online attendees. The room was filled, but the focus was completely on Larry and his expertise. Instructors were blown away by Larry’s unique and effective ways of teaching math. One attendee said, “Larry does really make math make sense!” We agree, too! 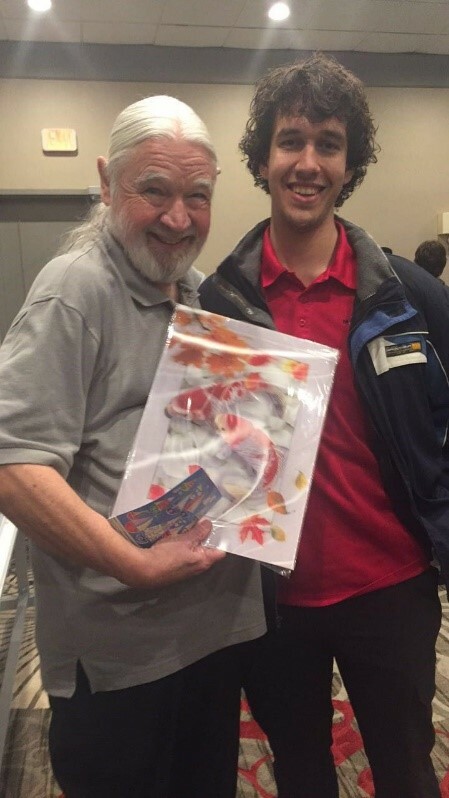 Below is a picture of Larry with a thoughtful gift given by an attendee. Dallas, we were happy to see such eager faces ready to take on Instructor Training. Till next time! Welcome our Stage 2 Trainees from March 2019! The Training Department is delighted to announce our March, Stage 2 Session Training Group from last month! It was a pleasure getting to know all of our Trainees including Franchise Owners (US & Canada), and Center Directors! We look forward to seeing your progress and can’t wait to see you all back for Stage 4! As part of our ongoing efforts to develop and refine the Digital Enrollment program, we have encountered opportunities to improve our language around setting clear expectations for payments with parents. Firstly, our Legal Counsel has reviewed the language used in our Parent Pack Enrollment Forms (both digital and paper versions) to ensure that it is compliant with current federal laws. Please see the latest version of the Enrollment Forms here for revised language. The main updates can be found in the “Agree to Automatic Debit” form that clarifies the standard cancellation policy. That you will set up billing to occur automatically. That billing will occur on a predefined date (or dates) each month. How to cancel their membership. While these Enrollment Forms comply with current federal laws, it is your responsibility to ensure that they also comply with your state and local laws. If you haven’t done so previously, we recommend that you have your own legal counsel and payment processor review your enrollment forms to ensure that they comply with applicable laws. Make sure to review the standard terms that are included in your Parent Pack Enrollment Forms. The enrollment forms consist of all the information and forms needed to enroll a student. If you change any of the terms for your Center, make sure to change them in the enrollment forms (digital and/or paper) given to parents at sign-up. In addition, re-disclose your current customers via email and/or regular mail so that they are aware of any new changes to the terms/policies which they may have previously authorized. Should you have any questions, please contact your FBC. Thank you!